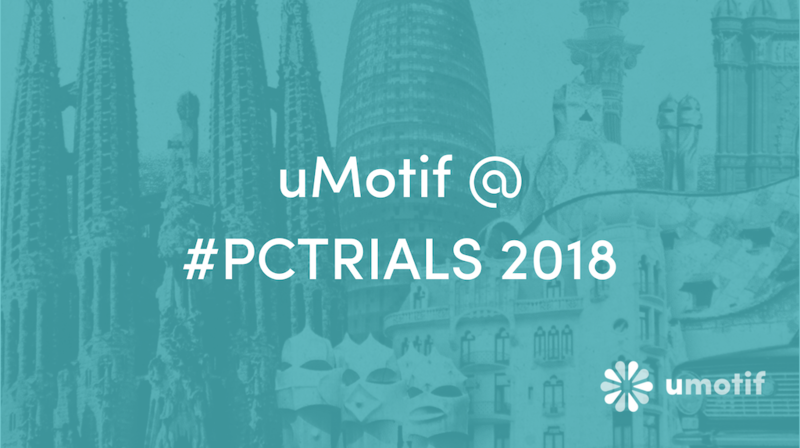 Meet the uMotif team at the Partnerships in Clinical Trials (PCT) Europe 2018 conference in Barcelona from 27-29 November. uMotif are delighted to be participating as first-time exhibitors at the PCT Europe Conference - the number one event for innovation and clinical partnerships. We are excited to see patient centricity and real world evidence themes throughout the 3-day agenda, including a range of industry case studies. We look forward to contributing to the discussion and dialogue around the value of patient engagement with represented industry colleagues and patient organisations. The team will be demonstrating our uMotif platform in the emerging services area of the exhibit hall – visit us to explore the data capture solution loved by patients. Hear the journey behind OurBrainBank – a ground-breaking movement designed by, with and for people with Glioblastoma (GBM). OurBrainBank enables people with GBM to manage their disease better and connect to fellow travellers, using the OurBrainBank app to collect patient-reported data to be analysed by world-class researchers to spot insights, accelerate learning and massively speed up clinical trials. uMotif CEO and Co-Founder Bruce Hellman will discuss informed consent, data ownership, data capture and review real-time case studies from across the industry. Meet Bruce Hellman, Jonathan Moshinsky and Birant Osman in the Emerging Services exhibit hall area at Booth B63 to find out more about uMotif and see the data capture platform in action. Who knows? You may even meet some Barcelona royalty! This event brings together the industry's leading clinical professionals. Note: Patients and patient advocacy group members can access free passes for this event.